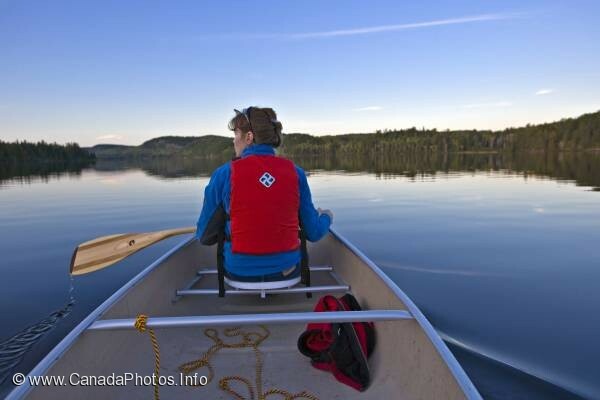 A female is canoeing, one of the popular outdoor activities in Algonquin Provincial Park, on one of the many wilderness lakes inside the park boundary in Ontario, Canada. Paddling a canoe on Whitefish Lake at sunset in Algonquin Provincial Park, Ontario, Canada. Model Released.